The ketubah is a unilateral agreement drawn by witnesses in accordance with Jewish civil law, in which they testify that the husband guarantees to his wife that he will meet certain minimum human and financial conditions of marriage, "as Jewish husbands are wont to do." It is not a ceremonial document of scripture or prayer. That is why it is written in Aramaic, the technical legal language of Talmudic law, rather than in Hebrew, the language of the "Song of Songs." Neither is it a state document establishing the new relationship of man and woman. It makes no mention of the confirmation of G‑d or of society. It is not an instrument of the privileged class, as in ancient societies, but one obligatory on every person. It is also not an affirmation of perpetual love. It is a statement of law that provides the framework of love. The ketubah restates the fundamental conditions that are imposed by the Torah upon the husband, such as providing his wife with food, clothing, and conjugal rights, which are inseparable from marriage. It includes the husband's guarantees to pay a certain sum in the event of divorce, and inheritance rights obligatory upon his heirs in case he dies before his wife. It is not a mutual agreement; the wife agrees only to accept the husband's proposal of marriage. It is assuredly not a bill of sale; the man does not purchase the bride. In fact, the ketubah represents the witnesses rather than husband or wife. Through this instrument they attest to the groom's actions, promises, and statements, and to the bride's willing acceptance of the marriage proposal. It is a charter of woman's rights in marriage and of man's duties. The ketubah is designed for woman's protection, and every legal nuance in this matter was developed so that her husband shall not regard it as easy to divorce her. In a male-oriented society, the woman always needed more defense against the violation of personal rights than the man. The ketubah required money to be paid by the husband in case of divorce. This made it difficult for the husband to divorce his wife without appropriate reflection and consideration. The requirement of a scribe and a specially convened court and witnesses for a divorce also protected the wife from an arbitrary husband, especially when the Rabbis, in accordance with Hillel's dictum, were lenient with divorce. Moreover, the ketubah protected whatever property was to be hers at the termination of the marriage. Because of this concern for the integrity of "the daughters of Israel," the Sages said that to live with a wife without a ketubah, or without specification of fair conditions, is regarded as concubinage—the difference between a wife and a concubine is that a wife has a ketubah, and a concubine does not. They considered that an unstructured marriage arrangement was fit only for a man and his concubine, that it placed the woman at an unfair disadvantage, and that it was beneath a Jewish woman to be so considered. When the Jews of France were robbed of all their possessions and expelled by Philip the Fair in 1306, they moved en masse to Provence. Rashba ordered that no married life be resumed there until every man give his wife a replacement ketubah. This ketubah de'irkhesa is required, even today, for everyone who has misplaced or lost the original ketubah. In this manner, a strictly legal document with detailed monetary conditions was converted by the Rabbis into an ethical statement that would safeguard the wife and mother and serve as an anchor in turbulent marital seas. Following is an outline of the ketubah, in English and Aramaic, and a descriptive commentary. The ketubah used is the standard form of the Rabbinical Council of America, New York. 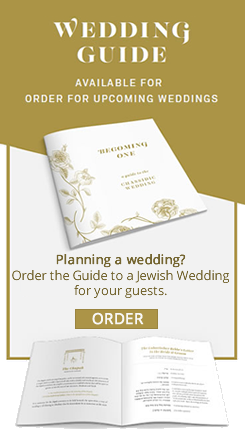 There are other new forms of the marriage contract, but only the traditional ketubah is considered here. The Place. The same rationale is used for the place. A divorce document contains more geographical information (e.g., mention of a neighboring river). The Sephardim retained this custom, and Rema, in the sixteenth century, urged that the technicalities of the ketubah follow those of the divorce. But the Talmud simplified the ketubah and the Jews of Europe have followed that tradition. _________son of_________ of the family__________ said to this maiden daughter of of the_________ family_________ "Be thou my wife according to the law of Moses and Israel." The Names. Their Hebrew names, their fathers' names and usually, though not always, their family names. The mother's name is given when praying for recovery from illness, as a symbol of mother's compassion. A father's name is used in legal matters, just as a father's family name has always been used in legal affairs. Added to their names is also the appellation for a rabbinic scholar, Rav, or priestly or Levitic descent, kohen or Levi. The Proposal. "Be thou my wife according to the law of Moses and of Israel" is the marriage proposal. The ketubah, following in time as it does the betrothal and its oral proposal formula, "You are hereby betrothed unto me according to the law of Moses and Israel," is written by witnesses testifying that the groom in fact proposed to the bride. The formula has remained intact for some two thousand years. The Talmud considered variants, but this language of proposal endured. "...and I will work for thee, honor, provide for, and support thee, in accordance with the practice of Jewish husbands, who work for their wives, honor, provide for and support them in truth." Support. This is referred to as the alimentation clause. Providing support is elemental in marriage, and is considered so obvious that the Talmud makes no reference to it. But the phrase is so beautiful and appropriate that it appears in the ketubah not only once but twice, "honor, provide for, and support... honor, provide for, and support...." Indeed, one authority described it as le'shufra di'she'tara (for the beauty of the contract). 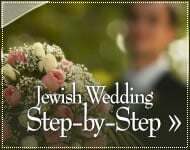 "And I will set aside for thee two hundred silver zuz mohar due thee for thy maidenhood, which belong to thee according to the law of the Torah, and thy food, clothing, and other necessary benefits which a husband is obligated to provide; and I will live with thee in accordance with the requirements prescribed for each husband." The Mohar. The funds, called mohar, are so important that this clause is called ikkar ketubah—the basic part of the ketubah, or simply the ketubah. Mohar is the cash gift the groom gives the bride, as Eliezer, Abraham's servant, gave "precious things" to Laban, Rebecca's father, and as Jacob gave seven years of service for the hand of Rachel. The great sage and the ketubah's most important author, Rabbi Simeon ben Shetach, decreed that this serve as protection for the bride rather than only a gift, and ordained that the funds were not given but set aside for the bride. During marriage, therefore, it was considered a debt which was paid only in case of death or divorce, and the mohar thus became a divorce or life insurance settlement rather than a mere marriage gift. This arrangement also enabled poor grooms to marry without any immediate monetary expenditure. The Talmud provides another reason, mishum china, to give the woman a secure financial position at the time of divorce so that she may remarry, and make the trials of marriage less poignant. The Law of the Torah. There is a running dispute between the Jerusalem Talmud and the Babylonian Talmud as to whether this settlement, which all agree is historically of biblical times, is biblically or rabbinically mandated. Today we generally take mohar to be rabbinically commanded, yet because of the gravity of the marriage bond we persist in using, "which belong to thee according to the law of the Torah." We also include "two hundred silver zuz," the Tyrean coin used in biblical assessments, rather than the "current" coin used in rabbinically-ordained payments. Mohar for brides previously married is one-half the total and is recorded as rabbinically-mandated. And__________ this maiden, consented and became his wife. Willing Acceptance. The proposal having been made in the traditional formula, the witnesses now assert that the bride accepted with willing consent, and therefore "she became his wife." Ve'havat lih lento is an Aramaic translation of Ruth 4:13, va-tehi to le'ishah. The dowry (nedunya) that she brought from her__________ house, in silver, gold, valuables, clothing, and household furnishings, all this__________ the said groom accepted in the sum of one hundred silver pieces. The Dowry. Nedunya, (dowry), popularly referred to as naddan, is given the bride by her father for her use in the home she is about to build. This dowry includes the items listed plus any other valuables she may bring with her. In the Bible, Rachel and Leah are given servants Bilhah and Zilpah as dowry. It is the daughter's share of her parents' inheritance. The sons succeed their father, but the daughters leave him and therefore receive an equivalent in the form of dowry. The Sages make it compulsory for a father to give his daughter, as a start in married life, sufficient funds to buy a woman's wardrobe for one year. The dowry is distinct from property or possessions that the bride owns and continues to own privately throughout marriage. Thus it serves as an inducement for suitors. The dowry is included in the ketubah, and is the property of the bride, technically "leased" to the groom for the duration of marriage. The bride's private property, called nikhsei melog, is given outright to the bride, the husband enjoying only the "fruit" (usufruct) during marriage. It is not part of the dowry and is not included in the ketubah. The Groom Accepted. The ketubah originally listed all items in the dowry and tabulated the cost. In time, this was standardized under the general categories listed and estimated at a standard sum of one hundred silver pieces, one half of the mohar that the groom provided the bride for use of the dowry, but which, in reality, comes today to very much more than the half mohar. adding on his own, mattan, another hundred silver pieces, kenegdan, making a total of two hundred silver pieces. Tosefet Ketubah: The Mattan. The additional monies, known as tosefet ketubah or mattan, is the addition to the mohar, called ikkar ketubah, the basic contract. This is the gift that the groom makes and that matches the dowry sum (kenegdan)—one hundred silver pieces. The total of dowry estimate plus tosefet ketubah comes to two hundred silver pieces. The tosefet ketubah has a parallel history to mohar, although the mohar was legal and compulsory and the tosefet ketubah social and voluntary. Both were designed to protect the woman. The latter was originally a wedding gift to the bride, and turned into a debt which was to be redeemed at the termination of marriage, by death of the husband or divorce. It had the same security advantage as did the mohar (although this was not instituted by Simeon ben Shetach). And thus said________, the said groom: "I take upon myself, and my heirs after me, the surety of this ketubah, of the dowry, and of the additional sum, so that all this shall be paid from the best part of my property, real and personal, that I now possess or may hereafter acquire. All my property, even the mantle on my shoulders, shall be mortgaged for the security of this ketubah and of the dowry and of the addition made thereto, during my lifetime and after my lifetime from this day forever." The Surety of This Ketubah. 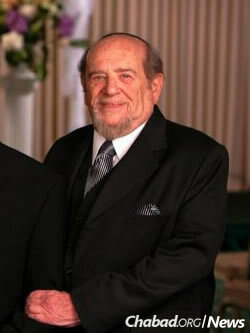 Rabbi Simeon ben Shetach made the ketubah into a note of indebtedness to protect the wife. He also introduced a guarantee that it would not remain merely a promise made in the flush of love, but a contractual obligation. 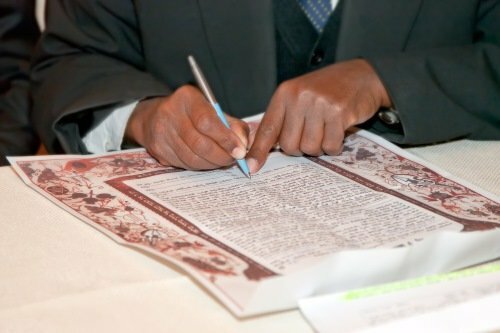 The ketubah therefore includes a lien on the groom's property to secure the satisfaction of the triple obligation of mohar, nedunya, and tosefet ketubah, or as the ketubah reads, she'tar ketubta da, nedunya den, ve'tosefta da. A lien on the debtor's property (the groom's) means that the law considers the property as a sort of mortgage. It is a shibuda de'oraita, a lien that is a biblical mandate, even more than a simple mortgage. The lien of the ketubah obligates the husband personally and it is therefore not only a mortgage on his real estate, but also on "property, the best part... real and personal... the mantle on my shoulders... now... or hereafter... during my lifetime and forever." And the surety for all the obligations of this ketubah, dowry and the additional sum has been assumed by________ the said groom, with the full obligation dictated by all documents of ketubot and additional sums due every daughter of Israel, executed in accordance with the enactment of our Sages, of blessed memory. It is not to be regarded as an indecisive contractual obligation nor as a stereotyped form. Not a Stereotyped Form. To assure the legal effectiveness of the debt and the lien made at a moment of exhilaration and romantic expectation, and to prevent the ketubah from being considered a mere statement of love commitment, with no legal binding force, the Sages expressly affirmed, "It is not to be regarded as an asmakhta, an indecisive contractual obligation," a sort of speculation, or as a "stereotyped form," a routine rubber-stamp procedure. And we have completed the act of acquisition from________ son of________ of the family________ the said bridegroom, for________ daughter of________ of the family this maiden, for all that which is stated and explained above, by an instrument legally fit to establish a transaction. And everything is valid and established. The Act of Acquisition (Kinyan). In order to seal all of the stipulated obligations, and to assure that the document is not asmakhta (based on speculation), the Rabbis required the legal formality of kinyan, the act of acquisition. Because the bride cannot take possession of all the property, the groom affirms it by a symbolic act called kinyan suddar. Thus, at the wedding, the rabbi or one of the witnesses gives a handkerchief or other article (but not a coin) in behalf of the recipient, the bride, to the groom. The groom then returns it. Then they record in the ketubah, ve'kanina ("and we have completed the act of acquisition"). This symbolic act must be seen clearly by the witnesses, who are the makers of the contract, before they sign to its validity. If the ketubah is calligraphed by a scribe, or printed in advance of the wedding, one letter of the word ve'kanina (or the whole word) is usually omitted so that the ketubah is technically not completed before the kinyan itself is made. If this custom is overlooked it does not alter the ketubah's validity, so long as the witnesses in fact witness the kinyan-transfer of the handkerchief. Everything Is Valid and Established. The Sages took precautions that legal documents not be tampered with or added to, and therefore instituted several procedures in concluding the document. First, the last sentence had to briefly summarize the contents: second, the formula ha-kol sharir ve'kayam, ("and everything is valid and established") must appear at the end of that line; and third, the witnesses must sign very close to the last line. In the ketubah, the summary is "for all that which is stated and explained above, by an instrument legally fit to establish a transaction." The formula follows, "and everything is valid and established." And the witnesses sign immediately thereafter on the next line beneath the formula. The Witnesses. The witnesses must follow these guidelines, although today the preprinted ketubot usually prevent error. 1. The witness must write his first name, son of his father's first name, whether he is a kohen or Levi, preferably also the family name, and follow it with the word ed (witness). 2. It must be in his own handwriting, not that of the scribe. 3. It must be signed as close to the text as possible, so that no words can easily be inserted. 4. The signature should not begin in the middle of the line. 5. Ideally, the two witnesses should sign one name under the other, as they would on a get (divorce). 6. They should not sign before it is fully completed, including, if it is calligraphed, the omitted letter in ve'kanina. 7. They should have read the document, or have had it read to them. 8. They should have witnessed both the kinyan and each other's signing, as on a get. The ketubah will be read aloud and formally presented during the wedding ceremony. The couple must always know where the ketubah is located. If they cannot locate it, they must see a qualified rabbi who will write them a replacement ketubah, ketubah di'irkhesa. This is a matter of law, not mere custom. The ketubah must be filled out by a rabbi who knows the Halakhah. It cannot be done reliably by a well-meaning, knowledgeable friend, or by a Hebrew calligrapher, unless carefully instructed by a rabbi. The ketubah is a very complicated document, especially for widows, converts, and divorcees. I have purposely omitted instructions for the proper completion of the ketubah, and the text of the ketubah de'irkhesa, to insure that the community heed the Talmud's words of caution: "He who does not know the nature of divorce and marriage should have nothing to do with them." Once the ketubah is completed, the procession proceeds from the groom's table to the bridal throne, accompanied by singing and dancing. The groom is at the head, followed by friends. There is no Halachic problem with hanging the Ketubah in the living room per se. I have seen this in houses especially when the Ketubah is written on parchment with drawings on the margins. However, there your daughter has a good point as well, the Ketubah document is a private contract between you and your husband. There are some communities that actually have the negotiated various amounts of money that are written into the document in case of death or divorce. Such information certainly is not public knowledge. To Anon Regarding who can act as a witness, the general rule of thumb is that a witness must be an adult male Jew, of sound mind, observant of the Torah, and not related to the couple getting married.